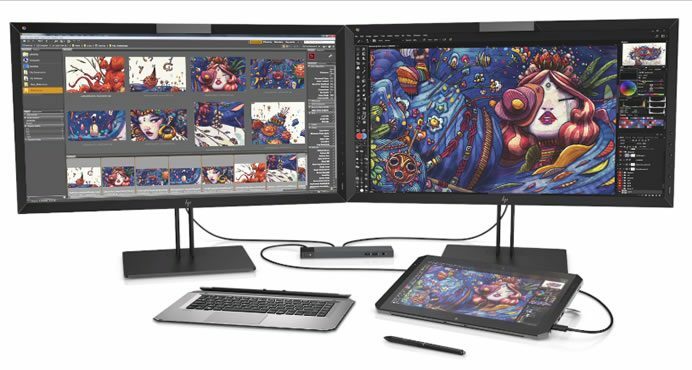 Today HP will showcase the world’s most powerful detachable PC – HP ZBook x2 , designed to solve the performance and mobility needs of artists, designers and digital imaging professionals who need to push Adobe Creative Cloud and other professional applications to the limit at Adobe MAX. The HP ZBook x2 allows designers to effortlessly create with quad-core Intel Core processors , twice the memory of any other detachable PC3 and NVIDIA Quadro Graphics that deliver 73 percent higher graphics performance compared to the Surface Pro4. 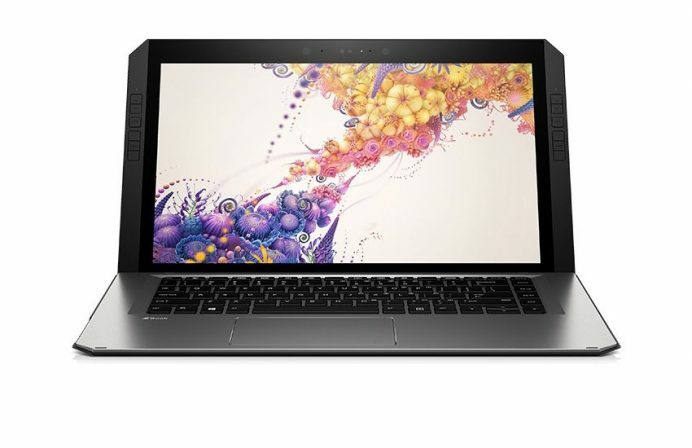 The HP ZBook x2 offers up to 4.2 GHz of Intel Turbo Boost, 32 GB RAM over dual channels for more responsiveness under heavier workloads like complex layering in Photoshop. A quiet, dual-fan active cooling system is designed to dissipate heat from the powerful graphics card and processor. The HP ZBook x2 has a stunning 14-inch diagonal, 4K multi-touch display with an optional 10-bit, one-billion color6 HP DreamColor display calibrated to 100 percent of Adobe RGB. The HP ZBook x2 has the world’s most advanced detachable PC display and includes an anti-glare touchscreen allowing users to immerse themselves while working in any lighting condition. At the desk, it can power dual 4K displays from the HP ZBook Dock with Thunderbolt 3. This detachable PC has up to 10 hours of battery life for maximum productivity and ultra-fast recharge (50 percent in just 30 minutes8). The model’s HP Z Turbo Drive storage is up to 6X faster than SATA SSD and up to 21X faster than traditional HDD storage. The HP ZBook x2 offers up to 2 TB of local PCIe storage and incorporates a full-sized SD card slot, perfect for professional photographers. Using the dock or Thunderbolt 3 ports on the HP ZBook x2, it can transfer large files from cameras, external storage, phones and other peripherals. The HP ZBook x2 embodies the intersection of mobility and performance in a fully-machined, aluminum and die-cast magnesium body starting at just 3.64 pounds5 and 14.6 mm thin when in tablet mode, and 4.78 pounds5 and 20.3 mm in laptop mode. HP ZBook x2 is scheduled for availability in December starting at $1,749.